← All Natural Laundry Soap for about $20.00 a YEAR! When friends come to my house and have coffee they always want to know how to make it. It took me several years of research to figure out exactly how and what coffee I really like. 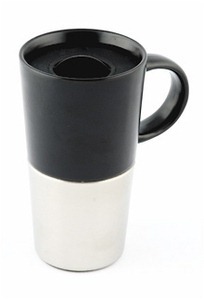 I do not consider a coffee machine to be a viable method of making coffee; all you get is coffee water. I longed for the deeply satisfying coffee I had when I went to Venezuela and enjoyed Cuban coffee. I started out with a French Press, decent coffee but it cooled too much before making it to the cup. A Chemex gave me more control over the pour over but again, coffee chilled too much. 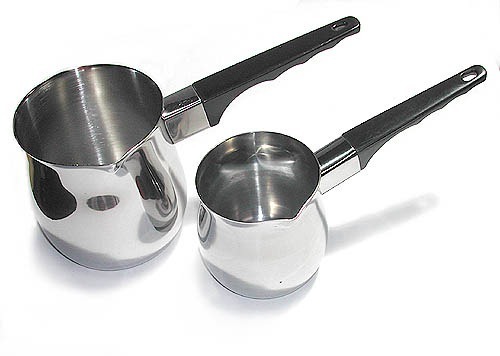 A stove-top Bialetti gave me great coffee, but only an ounce each morning? No way! I wanted to sip on coffee slowly each morning. As I only have one cup a day..I wanted to savor the experience. Finally, I found out how to make Turkish coffee! Bazinga! I fell in love! Start with an Ibrik (Turkish coffee pot) I got mine from Sweet Maria’s, the best coffee site on the Internet, it is a whole education on coffee as well as a great site for equipment as well as beans…even green beans! I fresh grind, by hand, freshly ground espresso coffee. I use a hand grinder from Sweet Maria’s- a Zazzenhaus. I use Sumatran Reserve organic, fair trade coffee from Green Mountain Coffee, wonderful full bodied coffee delivered to my door on a schedule I choose. In my case, 2 pounds every 5 1/2 weeks. Using a whisk, mix 9 ounces room temperature water with 2 Tablespoons sugar, 4 Tablespoons coffee, and spices (though I seldom use spices in coffee cardamom in traditional in Turkish coffee but cinnamon or chocolate is also awesome), stirred into the Ibrik. Then place on medium high heat. When foaming starts at the edges of the ibrik, slowly begin reducing the heat. The goal is to keep the coffee foaming, but not to let it rise more than a quarter of its volume. If you turn the gas down too quickly and the foaming stops, just turn it back up. The goal is to foam for 3 additional minutes (5 minutes total time). At 6 minutes total the coffee tastes over extracted, and at 4 it can be thin. The temperature at the end of 5 minutes should be around 167 F.
I like the Zassenhaus Turkish mill. Mine is set 3/4 of a turn past French press–the burrs brush lightly when there is no grist.